It’s time for another Q&A session! You guys have some great questions that I’m excited to address to help you identify the drama we create around eating and how we often strip ourselves of power when it comes to dieting. I’ll explain how to pinpoint your dependencies and achieve that “impossible” weight loss. 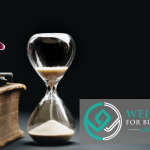 The mindset you take on and the approach you embrace has a lot to do with the healthiness of your weight loss journey, so I’ll address the important distinction between fasting and eating disorders, as well. Tune in and find out how you can simplify the weight loss process for yourself and ensure you’re making healthy decisions. Why you don’t need anyone else to be on the same page as you in order to succeed at dieting. How you may be disempowering yourself—and how to get that power back. Why the specifics are not necessary for you to move forward. The difference between fasting and eating disorders. Why it’s your thoughts that are problematic, not food. How to achieve that “impossible” weight loss. An important question to ask yourself to make weight loss less complicated. How to pinpoint your dependencies and change them. 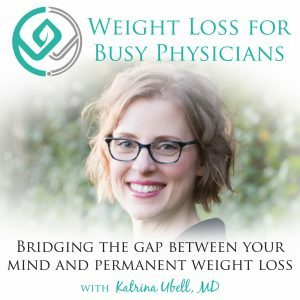 Katrina Ubell: You are listening to the Weight Loss for Busy Physicians podcast with Katrina Ubell MD, episode #105. 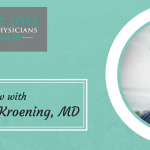 Welcome to Weight Loss for Busy Physicians, the podcast for busy doctors like you to get the practical solutions and support you need to permanently lose the weight so you can feel better and have the life you want. If you’re looking to overcome your stress eating and exhaustion and move into freedom around food, you’re in the right place. Hey friends, welcome back. I am super excited to do another question and answer podcast for you today. I had a look at the ongoing list that I have of the Q and A questions and I realized wow, there’s some really, really good questions in here, especially ones that help me to see where you guys still have some learning you need to do, where there’s gaps in your understanding of this work. I was reading these and I was seeing a lot of themes and I was like okay, definitely time for a Q and A. Definitely want to get going on that. This is what’s so important. You’re going to see that I’m going to bring this up with some of the other questions that have come up too. What’s happening here, and those of you listening, especially those of you who are my clients or my former clients, I hope that you can hear this, Deann, how disempowered you are when you’re talking about this. You’re talking about this like you have no control over your life and you’re going to be like no, no, no, I know I do, I know this and that, but just listen to me for a second. I want you to really take in what I’m about to say because I know you want me to give you ideas and solutions and I’m actually not going to give you those. Some of the rest of you are going to be like no, but I want to know the answers too. Here’s the thing, right? You think that you need information, you think you need your husband to make dinner earlier, that he needs to simplify your meals, that he needs to get on board with the way that you’re eating, that you think all of these things need to happen in order for you to get your needs met to do what you need to do. What I want to offer to you is that that’s not at all what needs to happen. That you have all of the power here, you’re just handing it away to other people, and even to your hunger, right? Even the way you talk about the hunger, like I get so hungry that I break down, like this is just happening to you and you’re like or I overeat at dinner. Also, that like just happens, but it doesn’t just happen, it’s always a decision. I don’t want to feel my hunger so I’m going to eat some food. I don’t want to stop at a normal amount of food at dinner, so I’m going to eat more even though it’s more than I need. What I know for sure, Deann, is that you are not planning your food, based on what you’re writing here, you are not planning appropriately and that is why you have so much mind drama about it. Even about the way that you’re feeling, that you’re so grouchy, you can’t stand yourself, like that’s all like it’s happening to you. What I want to offer to you is that you need to get out of a problems focused mindset and into a solutions focused mindset. There are so many things you could try here but because of how your mindset is focused on the problem, you can’t even see any of the solutions and that’s why I’m not even going to offer you any because they’re there and I know that you can find them once you change your mindset. Me teaching you how to change your mindset and figure this out on your own is exactly the skill that’s required for you to continue this on long term, right? I could give you an answer but then you’re like well shoot, now I need Katrina to answer my next question and that’s not at all what needs to happen. You also think that you need to get your husband on board in order for you to lose weight and that is not the case at all. It’s again very disempowering, right? Because if he’s not on board then he’s the villain and you can be the victim and now this is why you can’t lose the weight, right? What you have to do instead is figure out a way to regardless of whether he’s on board or not, regardless of when he cooks and what he cooks and all of that, for you to be able to do what’s required for you to make your body feel good, to get the food that you need, and to lose the weight that you need to do. This is seriously, I know this is like a little bit of tough love. There’s going to be some smackdowns today on this podcast, I just want to let you know in advance, but I just want you to really, really think about how you’re approaching this, what you’re doing to plan, how you’re managing your mind or not managing your mind, and what solutions are there for you that are simple and easy that allow you to do what you need to do. It doesn’t have to involve drama or other people being involved or agreeing with you or any of that, you just do what need to be done for you. So good. I can’t wait. Deann, when you figure this out, I want you to send me an e-mail and give me an update. Here’s the next one, this is from Peg. She writes, “I often wish Katrina would get into the specifics of meal plans. What does she use? Are there different ones for different people, and based on what?” Here’s what I want to offer to you, I don’t get into the specifics of meal plans because that’s what I teach my clients and so you can definitely figure that you on your own. Now I am actually enrolling a group tomorrow if you’re listening to this in real time, tomorrow is the day the cart closes, so if you’re interested in joining me and you’re an MD or DO woman physician in clinical practice, then I would love to have you join me and you can sign up at KatrinaUbellMD.com/enroll. Then you will get all the specifics of meal plans and I will help you with all of your specifics that you want to know about your life, but here is what you need to understand. You have a thought that you wish that I would give you specifics because if you knew that information then you would be able to start taking action, right? Like what does she use, are there differences for different people? Like I need to know that information in order for me to move forward. Peg, what I want to offer to you is that you don’t need that at all. There’s a hundred million meal plans out there for free on the internet and you can just figure out what you want to do. It’s so much more important for you guys to focus on your mindset and coaching yourselves. What I noticed in so many of these questions is you guys being focused on … It’s like a very diet mentality, what should I eat? What should I not eat? What plan should I follow? I need someone to tell me what to do. That’s absolutely not what you need. What you need to do is manage your mind and just go huh, interesting, I could sign up with Katrina and she could help me or if that’s not possible for whatever reason, then you know what I’m going to do is I’m going to start researching some different meal plans that might work for me and I’m going to get into that solutions focused mindset, I’m going to figure out something, and then I’m going to try it. And if it doesn’t work or I don’t like it for whatever reason, it’s not working for me, then I’m going to try something different and I’m just going to keep trying and trying until I solve this problem, rather than taking a very passive approach and waiting for other people to tell me what to do. So good. Oh my gosh, you guys. I like love so much when you send me these questions. I’m like wait. Okay, here’s another one. Mary, how to add in foods that are “problematic” after weight loss has been achieved without freaking out. I read that and I was like oh Mary, there’s no foods that are problematic, only your thoughts that are problematic, right? Food is just food. No food is problematic, it just sits there. It’s just food. Your thoughts about it are what make it problematic, right? How do I do that after weight loss has been achieved without freaking out? Like your talking about freaking out as though that’s a given, like that has to happen, like that’s definitely going to be happening around problematic foods. Again, I’m not even going to talk to you about how you address foods like that because I do that in my program and so you’re welcome to join me in that but what’s so much more important, Mary, is you have to look at how you’re thinking about this. What if no foods were problematic? What if there was no freaking out required ever about food or weight loss? Like seriously, nobody’s dying. Freaking out is not required, right? I want you to see how much drama you put into the way you think about all of this and then I want you to think about how that drama has created so much drama around food and weight loss for you in the past, right? Like how your history of losing weight and trying to maintain has been so drama filled that you end up regaining the weight, so there’s no problematic foods and freaking out is optional, totally optional. Who would you be, Mary, if there was no freaking out required? Like if you never freaked out around food or weight loss and food was just food, how would you approach this? I guarantee you it would be totally different, a completely different experience of losing weight and maintaining it, and if that’s something that you’re interested in, then your work is to become a person who looks at weight loss and maintaining their weight and food in this way. How do you become that person? You practice. You go huh, I’m going to be at a party and there’s going to be a bunch of food there, how would somebody who never thought that foods were problematic and never freaked out around food or weight loss or maintaining their weight loss, how might she approach a party like this? It’s understanding that there are foods and then we have desire for foods and that’s all it is. Like it probably would be totally different than the way that you’ve been approaching something like that in the past. Then what you do is your figure out how you think someone like that might approach just we’ll use the example of a party and then you go to the party and you act as if, right? You’re like okay, I’m going to be that person today at this party and you’re not pretending, you’re not using willpower and resisting, you’re just going no, today I am showing up to this party. It’s as though we’re at like a costume party, right? Like they have those murder mystery parties or things like that and you have to become your character, you’re just becoming a different character, you’re becoming a character of a woman who has no drama around food or maintaining weight, and then you just go and you act as if and you go through that party like that. Every time your brain is going to be like oh my gosh, but that food, you’re like wait, no, that’s not part of this character, that’s not part of who this person is that I’m being. Then you get to see what your experience was of that party when you were that person and if that’s something that you like and you want to continue, then you keep practicing that until you become that person and that literally is the way that you approach going to a party. That’s what I want you to focus on rather than how do I eat this food and how do I whatever and that is like the noise. It’s like the white noise that distracts us from the real work that we have to do, which is all about the mind management. That’s why I love these questions so much. It helped me to understand how much you guys are still focusing on the food and not understanding how much thought work and brain work is required for this to be a long term solution for you. Super good. Alright, next question was from Martha. I can see a theme here. “I would love it if you would do a show for the ladies for whom “it seems impossible”. Really hitting the fine points of food intake, limitations, perimenopause, menopause, and post menopause, and exercise for those decades of life like 40s, 50s, and 60s, where achieving results is so much more elusive.” Again, Martha, you have to look at how you’re looking at this, how you’re thinking about this. You’re thinking that there are actually limitations, you’re thinking that the hormone changes and menopause and that creates elusive results. What if that seriously was just some thoughts that you have and it wasn’t even true? Now I know you’re going to be like no, but there’s all this stuff and there’s all this research and there’s all these people who all agree with me, but seriously, I want you to think, does thinking about it that way actually serve you? Does it help you get the results you want? I’m going to go with no because you think it seems impossible. I know you put it in quotes so hopefully that means that you get that that’s just a thought, that you think about it being impossible, but here’s the thing, right? If you really … You might be like oh no, I get it’s a thought but like really deep down you feel like this is going to be super hard, what do you think the result is of that thought or that belief? The result is always going to be that it seems impossible and that it’s really hard. You see this with so many women as they age where they’re just like oh, it’s just so challenging. I’m going to tell you a story. I went to an event this summer and I just randomly sat next to this one woman who I hit it off with and we were chatting and we kind of spent the rest of the days hanging out together and I was telling her more about what I do and she is in her 50s and she was just like no listen, it’s so hard to lose weight. She’s already a fit person but she’s like you know, I just would love to lose ten pounds and basically all my friends were in the same position, we would love to just lose ten pounds, and nothing we try works. We’ve worked with trainers, we exercise, we’re totally active, we eat great, we do all these things, and the weight just won’t come off. It’s our age, it’s menopause, it’s hormones, it’s all these different things. I listened and I said okay, well you might want to just listen to my podcast, especially in the beginning, just get started there and see what you think, see if there’s something there that might be helpful for you. About a month, six weeks later, she sends me a text and she’s like, “Oh my gosh, I seriously have already lost four pounds and I have not even been trying. All I’ve been doing is stopping eating when I’m actually full and not overeating and only eating when I’m actually hungry. I cannot even believe this. Like I can’t believe I’ve lost this weight, I’ve tried so long and so hard and I haven’t been successful. A couple of these little changes and it makes a big difference.” Right? This is what I want to offer to you, this idea that like we have these thoughts, we have these beliefs that hold us where we are. You’re probably like no, if it seems impossible, if it’s got to be hard, then the whole experience of it is going to end up being hard and then we’re going to use willpower and then we’re not going to be able to keep it up. You don’t need to know the fine points of food intake or anything like that. I mean, of course I cover that with my clients but regardless that none of that is actually what’s really important. What’s important is what you decide to believe about losing weight. Here’s a thought, a question to ask yourself, what if I could lose weight and it was actually easy? What would my experience of weight loss be like if it was easy? How can I make this easy? Right? Like our brains just want to over complicate things so much and it does not serve us, clearly, right? That’s what I want to offer to all of you who think that you’re in that kind of stage of life where this is so difficult and I’ve got all these things against me, like your body is working against you. Listen, you and your body are on the same team and as soon as you can get your brain around that, you can actually work together to create the results that you want. So, so super good. Alright, this is from Dominique, she has a two part question. The first is how can someone discern if she is actually addicted to sugar? I know you’ve stated that this is rare but does affect some people, is it just a subjective evaluation? Yeah, you know, I don’t know that it’s so important to know whether you actually are addicted or not. I think again, that’s just a thought and I think it’s just a way of thinking about it that can be helpful, but I think for some people it can be disempowering, right? If you’re like well, I’m just a sugar addict then you’re like well see, that’s why it’s so hard for me and that’s why it’s okay for me to just go and eat some sugar whenever I want to because I’m actually an addict and it’s harder for me than all the non addicted people or something like that. The reason why I think it’s helpful to think about, for some people, that they have an addiction to sugar or an addiction like model, is to just help them to understand why it can be so hard for them to control themselves around sugar or why they are doing fine when they don’t eat sugar, then they do eat sugar and they are completely consumed by brain chatter, totally finding themselves grabbing this and that when they weren’t doing that at all, like what is happening in their brain that makes it so hard after they eat suga and the brain is responding in a similar way that it would to heroin or cocaine or something like that. Do we need to confirm that to know that we’re actually addicted? No, because it’s not really relevant. What is relevant is how does your brain respond after you eat the sugar? Now here’s the thing, someone who feels like they have more of that addiction model to sugar can still decide to have some sugar but what they have to understand that they’re doing is they’re signing up for possibly a week to two weeks or maybe even longer of definitely increased desire, increased urges for more sugar, lots of brain chatter, a lot of mind management. If you understand okay, this is how my brain responds to sugar and I’m willing to do all that work afterward, then okay fine, but some people get to a point where they’re like you know, listen it is so much work for me to deal with the aftermath that I’m just not going to eat things with sugar in them anymore, it just really is not worth it to m. I think that is where deciding how your brain responds to that and whether it’s sort of like an addiction model or not can be helpful. Is it just a subjective evaluation? That’s what I suggest you do. I don’t know of any way for you to determine whether you’re addicted or not besides just knowing how your body responds. The other thing that I think you can do to ask yourself if sugar really is a problem for you is to ask yourself to not eat any sugar for the next let’s say three months and see what comes up in your brain because if sugar is not a problem for you, then you’re just going to be like okay, fine, I just won’t eat sugar, I don’t care, it’s not a big deal, right? It’s just like if we’re like hey, could you just not eat broccoli for the next three months? You’d be like that’s fine, I’ll eat carrots, right? You’re just like not that worried about it, right? But the idea of not eating sugar for the next three months really makes you uncomfortable, now we know we’ve got a problem. Whether you want to call it an addiction or not, it doesn’t matter, we just know that you definitely have some sort of dependency on it for something. Whether it’s more of your brain chemistry making you really want that or if it’s something where you’re just using it to cope with your life so much that you’re like well, wait, then how do I get through my day? What we know is that it’s a problem for you and that’s worth looking into and it’s worth spending the time and effort and energy to reduce that connection within your brain to reduce the desire to make it easier for you. Okay, next question or second part from Dominique is when I experience extended times often all day with no hunger and therefore, as I understand being fat adapted and burning my fat stores, am I in danger of disordered eating? I don’t feel like I’m under eating but I’m curious how to know if that becomes a problem. This is a really good question. This has come up multiple times in my groups and I’ve definitely had people wondering about this, especially people who don’t understand intermittent fasting. They’ll be like that is just basically like a fancy name for an eating disorder and it really isn’t. Let me explain what the difference is. The difference is this, when you have an eating disorder or disordered eating then you’re using food as a way to punish yourself or some people who have disordered eating when they deprive themselves of food, they actually get a euphoric effect, they actually will feel almost like high from not eating, and then when they do eat, they eat a very small amount of food. I always think of like someone with anorexia then finally eats and they eat like two egg whites and a clementine or something, like a very small amount of food. First of all, the first thing you have to ask yourself is what are my thoughts about why I am fasting or why I’m not eating right now? If it’s like I don’t deserve to eat, my body is disgusting, I’m a horrible person, I need to be thinner in order to respect myself or to have other people love me or any of that kind of thing, that’s definitely disordered. If your thought going into it is I have some excess body fat on my body and I’m going to be busy today and I think I’m just going to allow my body to access my fat stores for energy instead of eating food, then that’s totally different. Do you see how much more rational that is? It’s so much more like well, it makes sense that I actually allow my body to utilize some of these extra meals that I have on my body and not eat every single time my body is hungry because that is how you burn fat is by allowing your body to utilize those fat stores. If you’re doing that, it’s a completely different way of thinking about it. Then when you’re doing fasting and you eat, you’re not eating this tiny meal, you’re eating a very, very nice satisfying large meal, so you’re not overeating but you’re eating plenty of food. You’re eating lots of nutrients, plenty of protein, fat, vegetables, you’re getting carbohydrates, you’re getting all the things that you need to fuel your body. In fact, some people, and let’s just say they want to do an extended fast and they want to do a 24 hour fast, which means for most people that they eat dinner and then they don’t eat again until the following dinner, some people will decide to eat all of their food for the entire day at that one meal. Now for a lot of people that’s so much food that they really do get overly full but it’s more about extending your fasting period than eating less, right? Where like then oh then I’m not going to eat and then I’m in this calorie deficit and remember, calories are not what we’re focusing on, we’re focusing on keeping our insulin levels low and allowing our bodies to dine in. Now with that said, you don’t need to do extended fasts like this. In fact, most of my clients don’t do extended fasts like this. For some people, it’s something that’s very comfortable for them, it works very well and they use it on occasion in a well thought out manner, but even if you’re eating three meals a day and not snacking, then you’re having an extended fast time between those meals. You’re still eating a nice beautiful meal, you’re not having like just a tiny little snack and then having that be your lunch and expecting yourself to not be hungry until dinner. The difference is when you eat, what you eat, and how much, but definitely what your mindset is going into it. Are you doing this as a way to hurt yourself? Are you doing this as a way to just encourage yourself to do what it needs to do? Now I will say though that some people who have history of binging or have a lot of urges will not respond well often to extended fasts, so if that’s somebody like you, if that resonates with you or you’ve tried an extended fast then you found that you couldn’t control your hunger or that the urges were super, super strong afterward, then I would discourage you from doing any sort of extended fasting, probably ever, maybe ever, but also first you need to work on managing those urges and dealing with those first before you can do any kind of extended fasting or longer fasting. If that’s something that you really struggle with, then my recommendation is to just make sure that you have your scheduled meal times prepared and you just find the time to eat it. The reason that my clients so often love being able to fast is because like they’ll plan like oh I’m going to eat lunch but then there’s some sort of emergency or something happens and then they’re like oh okay, well it turns out I’m just going to fast for lunch because I actually don’t have time to eat and then they feel great. It’s not a hardship, it’s very easy for them, but so here’s one way of approaching that. If you planned on eating lunch but then you can’t eat but then say at 4:00 or 4:30 you can eat and you’re hungry, then you can go ahead and eat your lunch and then you can plan on eating your same dinner or because your eating window is so narrow, you might eat just a little bit less than you normally would to just not overeat but you can definitely eat when you’re hungry. That’s the thing with fasting is like if you become really, really hungry, then you eat. It’s never like I have to torture myself and I’m not allowed to eat. You can eat anytime you want to and as soon as you recognize that, then you’re not getting into that whole spin cycle or depravation and restriction and that creates all the desire and urges too. So much of it is mental management and just keeping yourself thinking the way that serves you that gets you those results that you want. Alright you guys, I gave you the smackdown today, I think you needed it. It came from love, I hope you could feel that, and just a reminder, cart closes tomorrow night so if you are interested in joining this round of Weight Loss for Doctors Only, please go ahead and do so. I am not planning at this point to be doing another group for quite some time so this is going to be your chance for a number of months. Please go ahead and go to KatrinaUbellMD.com/enroll and you’ll find the sign in sheet there, and then remember that this group is for MD or DO women physicians who are in clinical practice. If you have questions about whether you qualify or not, go ahead and e-mail hello@katrinaubellmd.com. Alright you guys, have a wonderful week and I’ll talk to you next time. Take care. Bye bye. Listening on my drive to work this morning. I am so excited to get started with you next week as a client and let go of focusing on food. I can’t recall a meal, or at least a day, that I haven’t had thoughts about the food I was eating, usually negative. Tired of spending hours meal planning, shopping and prepping. Thanks for the Q&A session, very helpful to hear others’ questions. Hi Katrina. Your perspective has helped my thinking so much! Question for you. What if the drug lunch is food that’s on your plan? Is it ok to save your packed lunch for the following day to be efficient in that case? While the actual food might be fine, your plan includes exactly what you will eat for the day. So if your plan that day is your packed lunch, then no, you do not eat the drug rep’s lunch. If the night before when you are planning you know the drug reps are bringing lunch the next day, then you could plan to eat the drug rep items if they are on-plan foods, but you will have your packed lunch if they are not. Otherwise, if the drug rep lunch is a surprise, you can pack some of that and use it for your next day’s lunch, but you keep your commitment to yourself that you will eat the bagged lunch you brought in as that was your plan for the day.